Please explore each of our portfolios that showcase some of our past and recent projects from their initial concepts right through to the completed garden. Featured within our portfolio are images that clearly show before and after photos. Some gardens don't need a complicated plan, others do - especially when you need to know exactly what you are going to get for your money. In some cases the garden develops more organically over a period of construction phases. The photographs show you some of our work in progress and include the newly completed projects and other pictures display finished gardens that have been established for a few months. 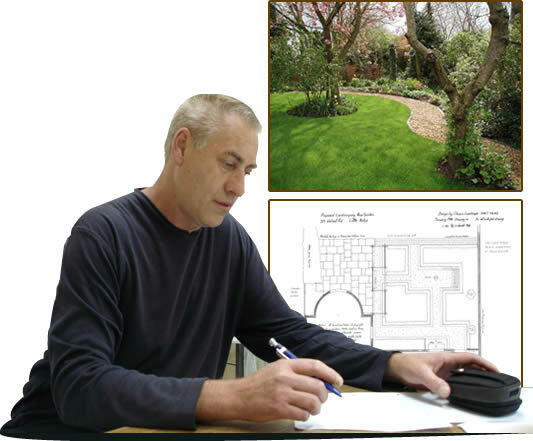 Classic Landscape can document your garden for you so that your archive will include loose sketches, completed design drawings and photographs. Click your browser back button on the top left to return.